Get struck by Cupid's arrow this Valentine's Day! 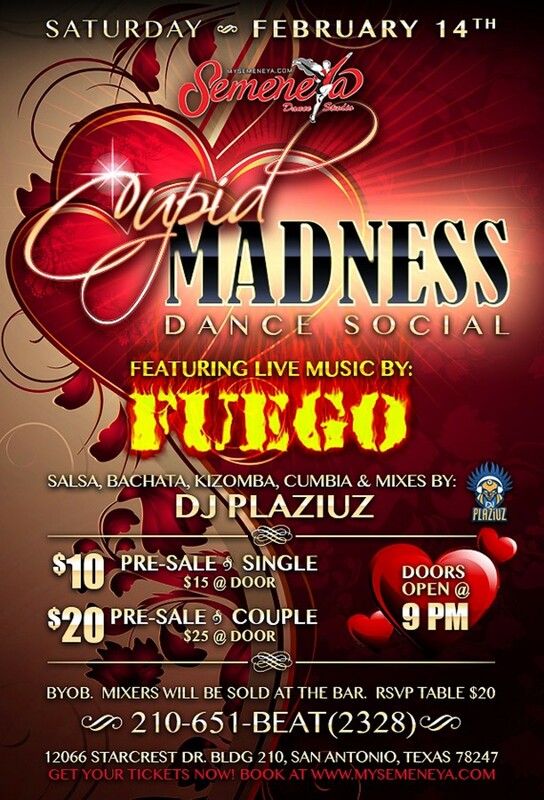 Saturday, February 14, 2015 dance all night at Semeneya Dance Studios to great live music by Grupo Fuego and the best Salsa, Bachata, Guaguanco, Mambo, Cha-Cha, Cumbia, Merengue and Kizomba with DJPlazius on the mix. 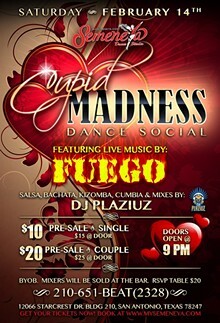 Doors open at 9:30 pm. BYOB! Mixers sold at the bar.